Armagh has died aged 68. During the Troubles he was one of Sinn Fein's most recognisable faces, regularly acting as a spokesman. Brought up in the Square in Crossmaglen, Mr McAllister first joined Sinn Fein in 1962 before spending the rest of the decade in England where he moved for work. On his return to south Armagh in 1974 he rejoined the party, rising to become a senior member. Elected to the Northern Ireland assembly in 1982, he was also returned to Newry and Mourne council in 1985, 1989 and 1993. He parted ways with Sinn Fein in the 1990s after disagreeing with its political direction. In recent years Mr McAllister was a high-profile supporter of the family of murdered 21-year-old south Armagh man Paul Quinn. Beaten to death in 2007, Mr Quinn's family believe members of the Provisional IRA were responsible. Mr McAllister was arrested numerous times during the Troubles. In 1985 he received a conditional discharge at Newry Magistrates Court after insisting on answering the RUC and British army in Irish during an encounter in Crossmaglen. He was back in the headlines in 1992 after appearing in the controversial Ken Loach filmHidden Agenda, which focused on the shoot-to-kill issue. Shot at the height of the British government ban on voices of Sinn Fein members being broadcast, Mr McAllister played a fictitious republican councillor. Former Sinn Fein assembly member Pat McNamee described him as a lifelong republican and family man. "He had a very clear understanding of republicanism and he held those views until his later days,'' he said. "He loved Ireland and the people of Ireland and was an artist who wrote ballads." Newry independent republican councillor Davy Hyland said Mr McAllister was "one of the staunchest republicans I ever knew". In 2010 Mr McAllister's son Turloch was jailed for 12 years for possession of explosives. It is understood he was refused parole to visit his dying father in recent weeks. Mr McAllister, who was predeceased by his wife Margaret, will be laid to rest tomorrow after Requiem Mass at St Patrick's Church, Cullyhanna. Pat McNamee delivered the oration yesterday at the graveside of Jim McAllister who has died. Tá fáilte romhaibh uilig anseo inniú chuig cuireadh Jim McAllister. Sílim ghfuil sé oiriúnach cur tús leis mo chuid as Gaeilge. Ba ghaeilgeoir Jim comh maith le gach rud éile. It is a difficult task for me to speak about such a great man. Jim wasn’t a big man in stature but he was a great man in heart and mind. As well as being a gaeilgeoir and a politician he was a father and a husband, he was a craftsman with many skills. He was self educated in Irish History and politics and he was well read in the folklore and legend of Ulster and Ireland. Indeed Jim might say that it can be hard to distinguish nowadays between the history and the folklore or more recent times. Jim was also a songwriter and a poet. One of the best things of all about Jim was that he could tell a great yarn, he had humour and wit and he was mighty crack to be with. I am proud to speak about Jim today for his family Turlough, Aoibhínn and Brendan. In 1982 there were elections to be held to the First Northern Ireland Assembly. There was a SF meeting organised in the Oul School, as we called it then, now known as Rathkeeland House. The purpose of the meeting was to select a candidate to stand for Sinn Féin in Newry Armagh There was a lot of talk about the need for republicans to put up a candidate to build the republican vote. There weren’t any volunteers but eventually Jim McAllister said he was willing to stand. A local man, Paul Rooney, asked ‘who will replace Jim when he gets shot?’ At that time Sinn Féin members and elected representatives were being targeted by loyalist murder gangs assisted by British forces and the RUC. Jim stood for the election and was elected to the Assembly knowing that he was putting his life and family in danger. Following his election he had to have his home fitted with security glass, security doors and cameras as indeed his life was put under threat.. I spoke to an Irish News journalist recently and he told me that they had a file on Jim containing press statements issued by him during his time as a councillor. One of those statements was a handwritten piece of paper that Jim had posted in. There was no fancy office, no typewriter and no fax machine There was no secretary, no computers and there was no special advisor. It was a hard time to be a Sinn Féin Representative in those days. In 1992 Jim’s wife Margaret passed away after a difficult illness. Jim didn’t contest the council election in 1993. However he had a different reason not to stand again as a candidate for Sinn Féin. Jim had an independent mind and he didn’t just go with the flow. Jim issued his press statements from his heart based on his republican principles. 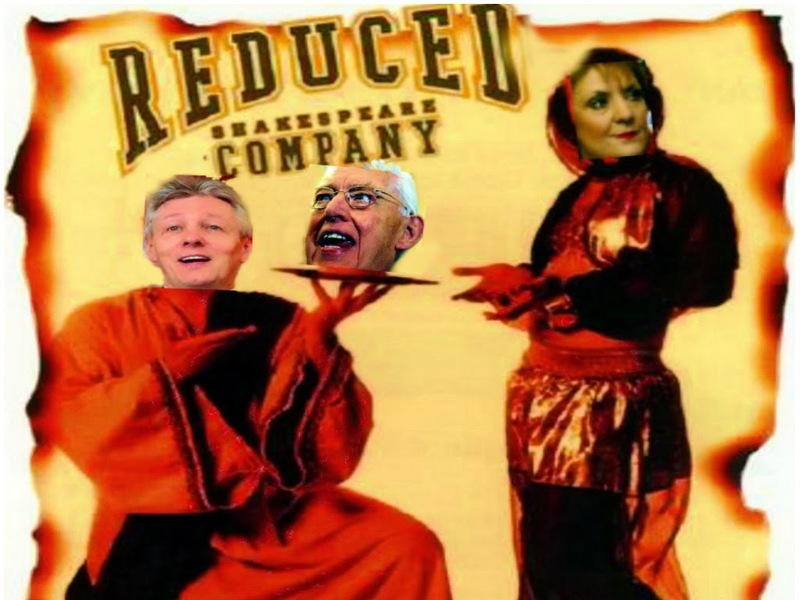 The peace process was sprouting and some of Jim’s statements were too strong for the Sinn Féin agenda. Jim hadn’t changed his position but others had changed theirs. Jim was told not to issue any further statements unless they were approved by the six-county office. Jim wasn’t going to be gagged or have his comments sanitised. Jim distanced himself from Sinn Féin and was opposed to the partitionist government in Stormont. He was ostracised and isolated by some of those who had been his former comrades. He was forgotten by so many that he had helped over the years. Some people go with the flow. Jim stood to his republican principles. 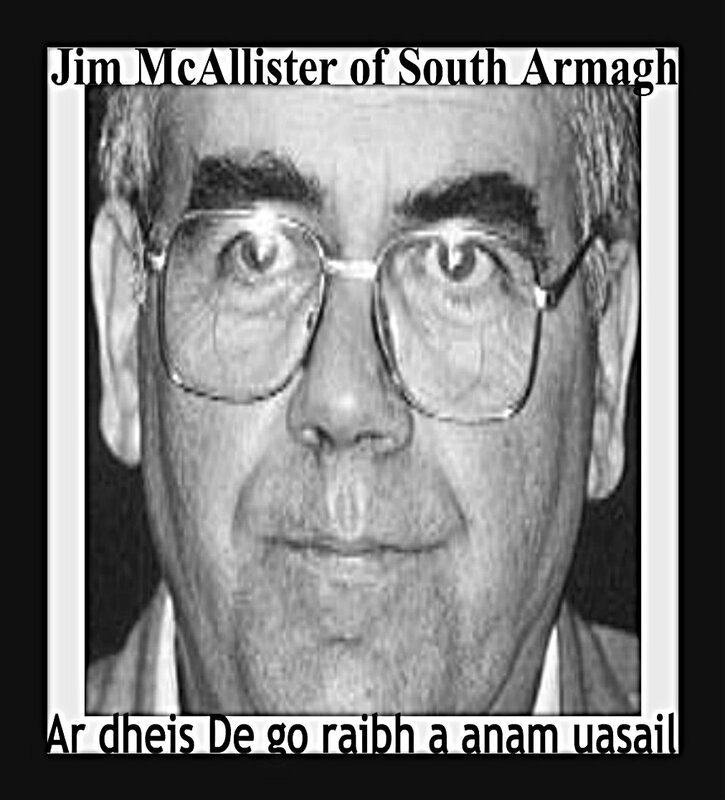 Jim was a gaeilgeoir and enjoyed speaking his native language. He and I had many a good crack in Irish and the Irish would be better after a couple of pints. Cuireann an ól leis an cáinte. Jim would speak in Irish to the British soldiers and the RUC at the many checkpoints that were prepared for him. He gave his name, address and other details in Irish. The RUC charged him with obstruction and refusing to identify himself. Jim was duly taken to court and the judge dismissed the case. In more recent years Jim was the spokesperson of the Paul Quinn Support Group that was established after the brutal and savage killing of Paul Quinn. Jim campaigned for justice for the family of Paul Quinn who were his close friends. In spite of the fierce intimidation Jim campaigned publicly and the killing was debated in the Assembly and the Dáil. Jim didn’t cower in fear from British forces and he wouldn’t cower in the face of others. You would wonder how Jim managed to have a life outside of all that he did as a political activist. Indeed Jim had a beloved wife Margaret and they had their 3 children, Turlough, Aoibhínn and Brendan before her untimely death 21 years ago. Jim knew the importance of his family and acknowledged that he wouldn’t have been able to be a political activist without the support of his wife in the early years and his children in later years. Jim was resigned to the fact that his time was running out and he expressed no fear of death. I had to ask him if he had any wishes in relation to his funeral arrangements. It was not an easy question to ask to a friend of many years and it wasn’t an easy question to answer. Jim wanted to be acknowledged as a republican by some of his close friends and comrades. He wanted to be remembered that he stood firm on the true values and principles of republicanism and that he had been an elected representative at a time when it was a dangerous thing to be a Sinn Féin representative. Jim wanted to be remembered as an unapologetic, unreconstructed republican. It gave succour to the hunted and hunter it's mountains would foil.